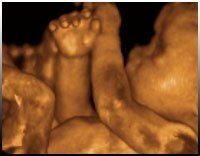 We recommend 28-32 weeks as the “ideal time” for a 3D/4D scan. Factors that may interfere with the quality of the images include amniotic fluid volume, fetal position, and maternal weight. If you are not completely satisfied with your session you may try again at a later date for a small sitting fee. 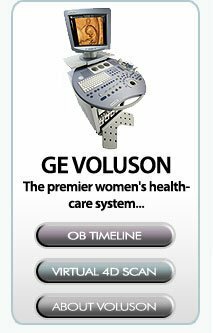 We use the most up-to-date GE volusion E8 ultrasound equipment.